Eager to maximize convenience, practicality, and style in their new Cincinnati home, Brian and Carolina Lewis, both retired after working in online travel, knew smart storage would make the contemporary space complete. 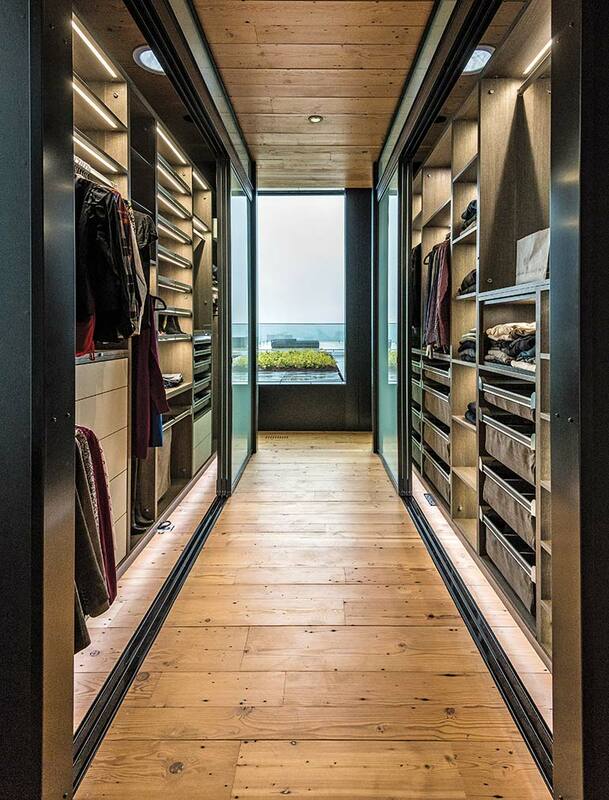 Custom closets on both the ground floor and basement were designed with input from architectural firm Jose Garcia Design to seamlessly blend with the space’s open, clean-lined aesthetic. Strategic lighting and open shelves ensure everything is both visible and accessible, while baskets featuring adjustable separators easily accommodate and hide items of various sizes. The closets have become a focal point of the home. “I give closet tours!” says Carolina.